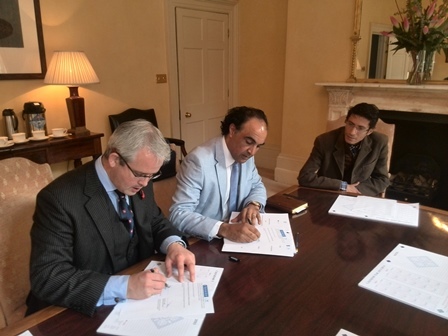 The Libyan National Council for Civil Liberties and Human Rights (NCCLHR), established by law in November 2011 (Law No.5 – 2011) and supported through 9BRi by David Hammond as instructed UK Counsel and NCCLHR lead in London, has been working hard to develop their independent role from, but working with the Libyan Government. Set against the on-going rule of law and security challenges being faced throughout Libya, the work of the NCCLHR is critical to assisting with long-term national and regional stability. With legitimacy and a broad mandate which should be the envy of other international human right’s organisations, the NCCLHR is fast developing its national role and international profile. With support from the Danish Institute for Human Rights, the NCCLHR is finalising their three year strategic plan, before embarking on a programme of national education as to the available framework for supporting Libyan human rights across civil society. The role of business in human rights as established in June 2011 through the United Nations Guiding Principles on Business and Human Rights has also now been introduced for the first time into the NCCLHR by David Hammond. The catalyst for the current 9BRi project established by David Hammond on behalf of the NCCLHR, was the recently organised NCCLHR delegation visit to London . The delegation met with commercial firms, specialist rule of law consultants and the Foreign and Commonwealth Office’s Middle East and North African team. They also signed MoUs with 9 Bedford Row International and Mazars LLP for the provision of legal and commercial services and support to the NCCLHR. The following is an edited extract from a recent ‘Letter from Tripoli’ by David who is currently in Libya working with the NCCLHR. “This week has been what I would term ‘busy’ as between the militias. Rule of law is fundamental to success here and which, is currently quite precarious in my opinion. I am awake again at 3.30 a.m. from yet another bout of heavy weapon exchange, explosions and what sounds like the odd RPG being fired off not far from where I am. These are definitely not celebratory fireworks and it is close. Even my Libyan friends have been in contact to tell me to stay where I am and my hosts have checked in, which says much. The main coastal road outside where I am staying is deserted and there is no vehicular movement whatsoever in my immediate area, which again, is telling. I have some experience in such matters and environments and this is undoubtedly going to be a challenge to support the Libyan State with their rule of law through the provision of human rights support. So do we melt into the western background and wait for it to quieten down? Possibly, but then I note that the very people we are here to support do not have that luxury. They have to live in this cauldron of intermittent violence and social unrest, mixed in with getting on with everyday life without apparent relief or betterment. Herein is the challenge in Libya. We have the ability to genuinely make a difference and not in a flippant or superficial way. Creating the conditions and supporting the National Council for Civil Liberties and Human Rights provides a genuine opportunity at the sharp end to have effect both nationally and regionally, without committing huge amounts of money that would otherwise make an accountant blanch or a partner reviewing a business plan laugh, mainly due to the apparent lack of immediate financial return or potential benefit. This work is not short term and nor is not speculative. 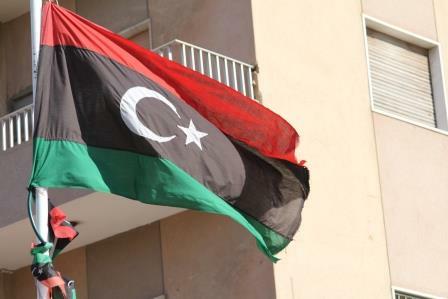 The results are immediately found in the ready acceptance of expert outside assistance in order to establish a proper foundation for developing organic human rights engagement within the Libyan State. Such support is remembered well after one has left and long term relationships are key to success. In short, there are multiple official reports, opinions and needs assessments that have been completed on behalf of, or with respect to Libya, but tangible and accountable results are few and far between. What is needed now, are people willing to get their hands dirty at the coal face, impart expert advice, ‘train the trainers’ and draft usable teaching materials to be used and then developed. Even more so, is the financial backing to make this work happen. We are not talking much here. To date, the project being run here has quietly gotten on and is delivering as we speak, but on a shoe-string budget and much of which has been self-funding. To have achieved, along with other international human rights experts and entities on behalf of the NCCLHR, successful completion of their three year Strategic Plan and then, implement it with a subsequent international conference, while also adopting the UN Guiding Principles for Business and Human Rights, will be more than any other external entity has achieved to date. So where are we today, three weeks after this project gained traction in London with the visit of the NCCLHR delegation? The NCCLHR Strategic Plan is now all but drafted by the Danish Institute for Human Rights, as led by the NCCLHR and to whom I am giving counsel. The international conference invitation and outline agenda to be translated to Arabic has been drafted and is now planned for early January 2014. Equally as important, is the completion of the first draft of the “Declaration of Adoption for the UN Guiding Principles” and which is being translated as we speak. In the words of one diplomat this week, “it would be frankly impressive” to get to such a point and produce such tangible results. Well, we are virtually there. For the commercially minded; “Fortune favours the bold”, especially for those in it from at the start. For others, as is etched on a plaque outside the resistance museum in Copenhagen by the statue of Anders Lassen VC and which may be more pertinent; “The men who go first are rarely popular with those who wait for the wind to blow”.